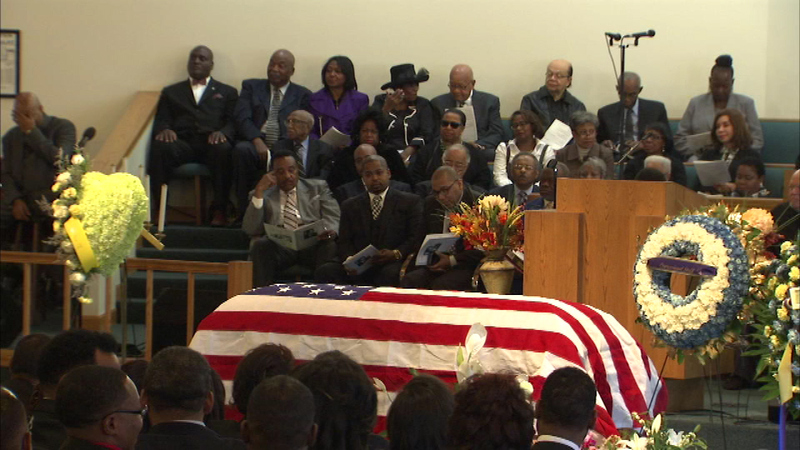 CHICAGO (WLS) -- Former Illinois Congressman Gus Savage was remembered Saturday during a funeral service on Chicago's South Side. State political leaders joined other loved ones at Mount Calvary Baptist Church to memorialize Savage, who represented the 2nd district on Chicago's South Side from 1981 to 1993. Savage died in his sleep last Saturday morning, one day after his 90th birthday. "He always told me to put the people first and I could never go wrong, so I've been in office for 30 years and I have him to thank for that," said State Rep. Mary Flowers (D-31st District). "Gus Savage was a fiery little inspirational person that was saying, 'This is what we gotta do, what we gotta do.' And guess what, we did it," said former U.S. Senator Roland Burris. Savage founded Citizen Newspapers, which became the largest African American-owned chain of weekly community newspapers in the Midwest.